A blast from the past, circa 1922. 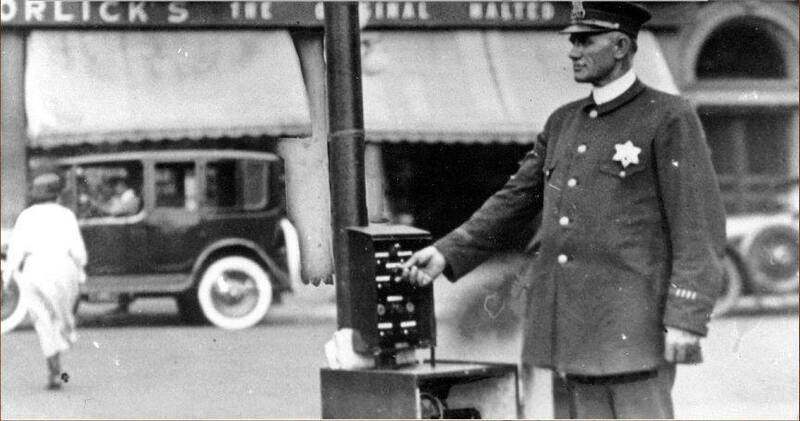 The caption reads: "Officer Henry J. Klem operates a new manual traffic light at Wilson and Broadway." The photo is from the Chicago History Museum's collection. This photo was taken the year before the Gerber Building (the main train station currently undergoing rehab) was built. For those curious about the background, it's a pharmacy, and the sign advertises "Horlick's, the original malted milk." Two brothers from England invented powdered malted milk in Chicago in the 1870s and it was manufactured in Racine, Wisconsin until 1975. At the time of this photo, it was considered a real delicacy. Horlick's is still available, but only in the UK and a few Commonwealth countries.